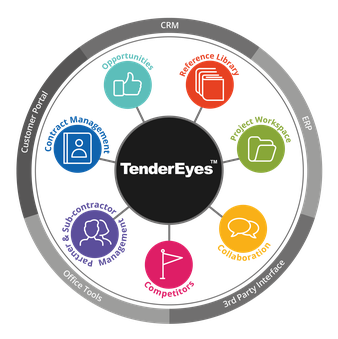 Tradax Ltd have designed and built an enterprise level software application called TenderEyes that helps larger organisations manage and submit winning tenders. The system has been operating in global businesses for eight years. The customer wanted to tighten up its governance and control of sales offices in 30 countries, as well as improve their win ratios.